You will have to sign in to your Gmail account with your username and password. If you are having any issues with that, please see our tutorial guide about Gmail Sign In or Gmail Email Login for more details. Now open the Forwarding and POP/IMAP tab from the setting page. Select “enable POP for all mail” (even mail that’s already been downloaded). Once you’re done, just click on “Save Changes”. That’s it! 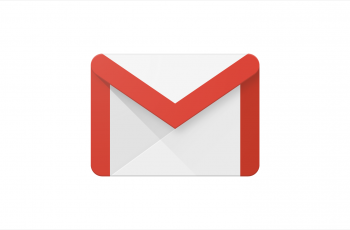 Now you can use other email clients to see your Gmail Emails in offline mode. Some of the popular mail clients that support this service are: Outlook, Apple Mail, Sparrow, Yahoo mail, etc. All you need to do from here now is open the mail client you’ve configured for Gmail account backup, and check for new messages. Note: Gmail email messages are downloaded in batches, so it’s very likely to take time for everything to appear in your mail client. The experience is very good and it worth trying out. So what are you waiting for? Go and backup Gmail email associated with your account ASAP. And don’t forget that email messages in your spam and trash folder wouldn’t be downloaded unless you move them to your mail inbox. Hope this guide about Backup Gmail emails helped? If it did, please share it and don’t forget to drop your comments if you get stuck along the way.